Celtic Connections is a folk, world and roots music festival in Glasgow, taking place over a three week period in January and February in venues across the city. 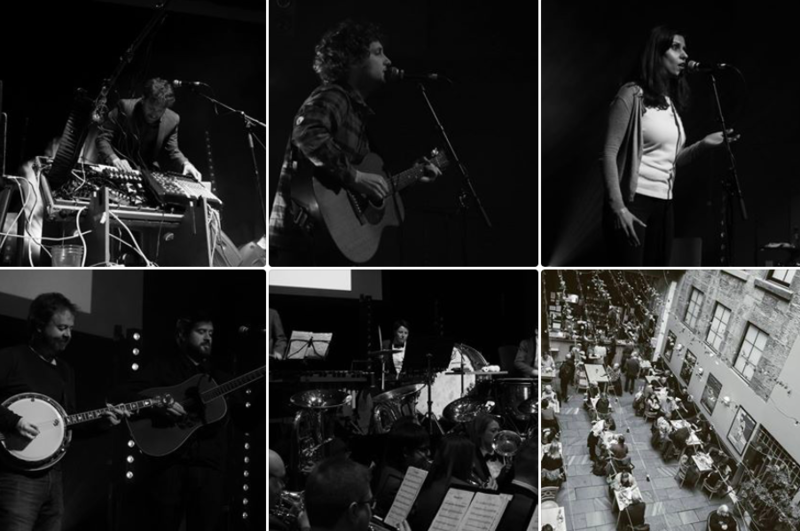 It always holds an extraordinary collection of artists, musicians and sessions, bringing a wide range of people together to make the city buzz with music. I was lucky enough to head up for the last weekend in the festival, attending a group of events called Lau-Land, held in the beautiful CCA venue. It is difficult to encapsulate the sheer diversity of the festival, and the large number of different events. Across the afternoon, there was a panel discussion, gathering folk musicians Cormac Begley, Kris Drever, Martin Green, Siobhan Miller and Karine Polwart. After exchanging some tunes that had influenced them as children, they discussed the nature of folk music, the weight of its tradition and its importance in carrying local dialects, so that these ancient languages are not seen as “other” but are used freely and with confidence. Following this and their exploration of how they all came to folk under different circumstances, they then held a session in the bar next door. For those of you who don’t know, a folk session typically involves a group of musicians just exchanging tunes, learning them off one another as they play and improvising around it. While being packed into the back room of a bar like sardines, it was amazing to hear people openly exchange music as you would thoughts in a conversation. I reflected that this is something we sorely lack in England, we lack an open music community where anyone can play, and everyone is willing to listen, even the small children sat on their parent’s laps. As the evening went on, the range of music increased, from The Whitburn Band, who played a spectacular brass-band rendition of Metropolis (1927), to The Pictish Trail who ended the night/very early morning with a DJ set. And there was everything in between, including an exert from Jaimini Jethwa’s play ‘The Last Queen of Scotland’ which had scored to success at last year’s Fringe in Edinburgh and gave a genuinely gutsy portrayal of her experiences as a Ugandan exile in Scottish society. There were some fantastic sets from Brighde Chaimeul, a Scottish Small Pipes player who won BBC Young Folk award in 2016 accompanied by Aidan O’Rourke, Sam Amidon, a talented singer-songwriter from Vermont, Kris Drever, Eamonn Coyne and Martin Green, just to name a few. Plus, there was an experimental live sound/video installation in the cinema, which was strangely fascinating but also brilliant. Many brand Celtic Connections as a folk festival, but it is far more than that. It’s a cultural festival, celebrating an exceptional range of music, artistic talent and local venues. It’s the kind of warm environment which makes you glad to have stayed up until 3am dancing with groups of people you only know through their mutual love of the music that you’re dancing to.